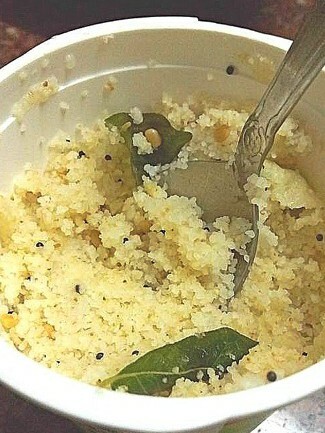 Instant ready to eat mug upma in 3 minutes is a boon to the busy housewife , the husband who’s is constantly traveling and your kids in college . Prepare this mix at home with very little cost and time . Store well for months . You find several such ready to eat snacks in stores priced very high and one is not sure about ingredients quality too . When these ready to make foods can be prepared at home easily why buy from outside . Very economical when you need to make several servings in bulk . For those with no kitchen gadgets , , vessels or facilities this is a blessing to have in your collection of ready to eat foods which you may have packed from home while leaving on long trips . Parents traveling with kids on road trips on vacations and who do not like to feed restaurant foods to young kids , will find this a great help . For those who need a variety from everyday porridge , cereals and oats , this is yet another must have in your collection . Boiling hot water from elector kettle if you don’t have kitchen facilities . Most eateries will offer hot water for your flask if you are on road . Most hotels / motels will have electric kettle and or microwave too . The method below is for the instant variety where all you need is hot water . Before leaving on long trips , prepare the basic mix in advance and store in ziploc or in good containers and you are good to go . Send these packs with clear instructions to your kids and hubbies about how to use . Bachelors will find this extremely easy and handy . For busy hurried mornings when you have no time to prepare breakfast from scratch this is useful . Just pour the mix into the mug , add boiling water , cover and keep and by the time you are dressed to go to work your yummy upma is ready . Cover it with lid and take it to work too . Many summer evenings after I return from my walk I make this mug upma as I do not feel like switching on the gas in the hot kitchen . 3 tbsp fried onions to be added to mix if you desire . If adding onions make sure to fry them well , dab well with kitchen towel to remove excess oil . In a large pan add the oil . When heated add split udad dal , cashewnuts , add curry leaves . In a small tempering pan seperately roast green chillies or red chillies till crisp . Add this to the above . Now add the sooji / semolina and keep stirring while roasting on a small flame . You can roast sooji seperately or along with tempered ingredients . Roast till pale golden and remove from flame . 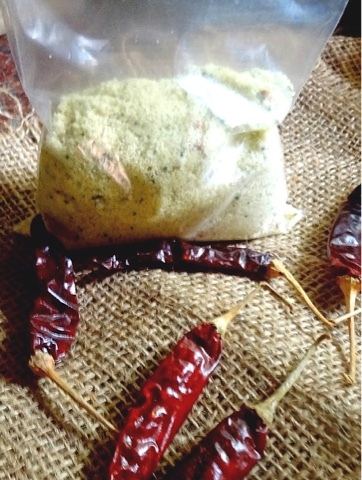 Now store this instant upma mix In a dry air tight container . This mix stays good for months outside in an airtight container . 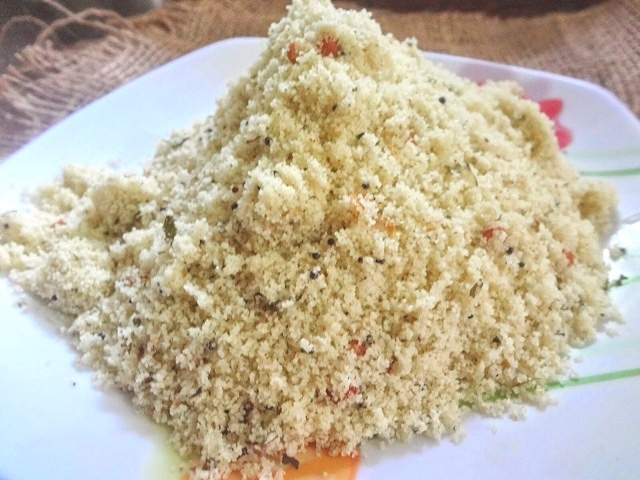 Take a heat proof mug with lid , measure required quantity of prepared upma mix powder. Do not add more as this recipe is meant for single serving in mug so 3 -4 heaped tbsp should be enough per person . Boil water well in a kettle and pour over the mix in the mug . Stir well and close with lid immediately . For 3. Tbsp mix add 6-7 tbsp hot water covering a little above the mix as the upma mix will absorb water and swell . After 3 minutes , fluff with fork . 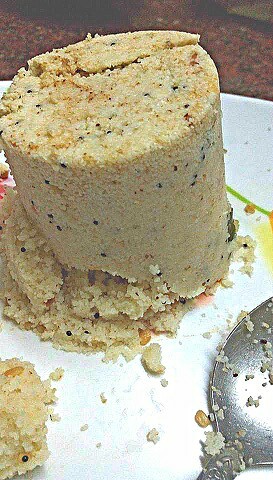 Instant 3 minute mug upma is ready . I usually prepare a mix to last for a month at home for quick tiffin or breakfast . Really worth trying. 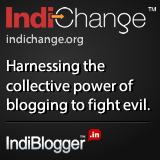 Being a working women I know this is a boon to me. Wooow..really a nice recipe…must try it.